Although the lazy days of summer are almost technically behind us and they feel even further away with the start of fall classes, I wanted to give you guys one last easy and delicious summer recipe. 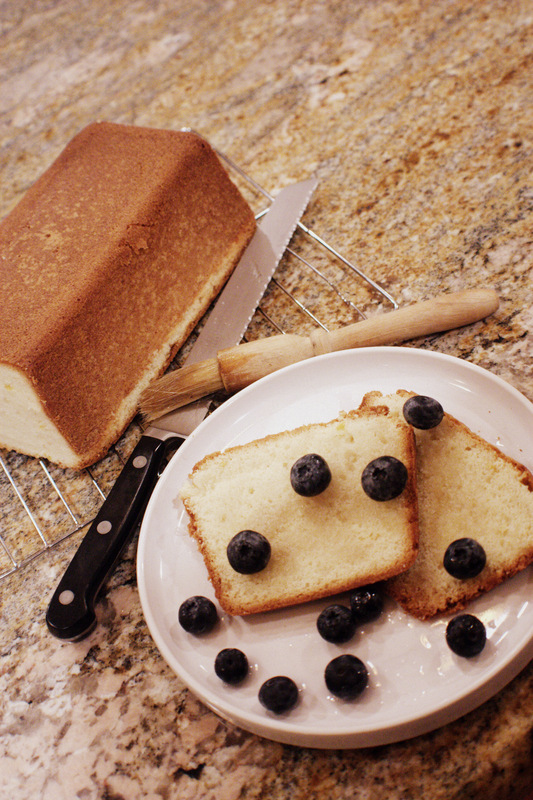 Lavender Pound Cake is one of my absolute favorite recipes and something I make every year; it’s the perfect dish to bring to a potluck summer barbeque or to enjoy at home. I originally found this recipe on Epicurious.com and like every recipe I use, I made some tweaks to make it my own. Fortunately, my Aunt Sheryl has a lively lavender bush and supplies me with a fresh stash whenever I need it, but for those of you not so fortunate, you can get dried lavender (works just as well) from Amazon.com, Whole Foods, Wegmans, and some farmer’s markets. Over the past year you’ve gotten to know me pretty well (at least I hope so) and so I feel it necessary to disclose that as I prepared for this month’s column I was in the middle of moving with absolutely no access to my plethora of cookbooks or the comfort of my normal arsenal of culinary supplies. As I wracked my brain trying to figure out a second recipe, I started to daydream about how I wished there was more hours in a day, like 40 maybe. Okay, I won’t be greedy, I’ll settle for 30. 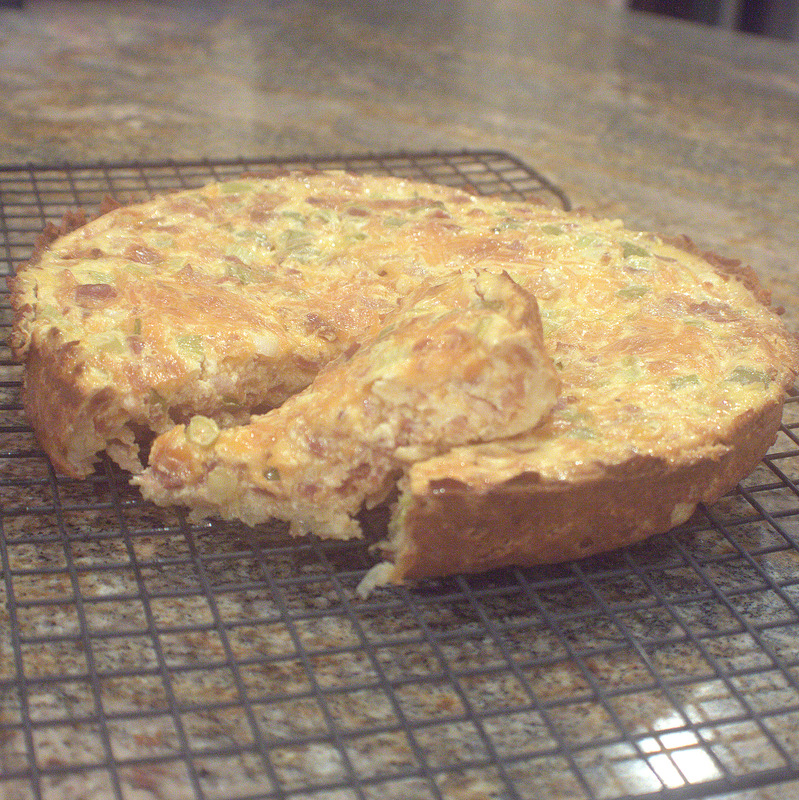 Always looking to be more efficient with my time, I came upon Paula Deen’s recipe for Hash Brown Quiche. Never having time for breakfast myself, I thought this was the perfect idea; I could make this quiche—which takes all of five minutes to prep—while doing laundry on a Sunday afternoon and then pop a slice in the microwave for 45 seconds an I’d have breakfast for days! I tested it out and while Ms. Deen may have some ongoing legal and PR issues, her recipe did not disappoint. The original recipe called for ham, but I substituted it with my favorite food group, bacon. I think the recipe would also taste divine with prosciutto or any other cured pork product. With that being said, I present you with this month’s must try recipes! Based on a recipe originally found on epicurious.com. Preheat oven to 350°F with oven rack in center of oven. Generously butter and flour loaf pan. Remove any excess flour. Whisk together flour, baking powder, and salt. Set aside. Beat together butter and sugar with an electric mixer at medium-high speed until light and fluffy (about 3 minutes in a stand mixer or 5 with a handheld). Add eggs one at a time, beating well after each. Beat in zest, vanilla extract, and vanilla bean. Reduce speed to low and add flour mixture and milk alternately in batches (beginning and ending with flour) and mixing until just incorporated. Spoon batter into loaf pan and bake until golden (approximately one to 1 to 1 1⁄4 hours). Test doneness by inserting a toothpick or skewer in center; if it comes out with crumbs adhering, it’s done Cool cake in pan on a rack 30 minutes, then invert onto rack and cool completely. Bring water and sugar to a boil in a small saucepan, stirring until sugar is dissolved. Remove from heat and stir in lavender; steep for 30 minutes for dried lavender or 40 minutes for fresh. Pour syrup through a fine-mesh sieve or cheesecloth into a bowl and discard lavender. Stir in lemon juice and blueberries. Spoon berries and syrup over slices of cake just before serving. Press the hash browns between paper towels to eliminate as much liquid as possible. In a 9-inch pie pan, toss the hash browns with the melted butter into the pan. Press them into the bottom and up the sides to form a crust. Bake for 20 to 25 minutes until golden brown and starting to crisp. In a large mixing bowl, combine the remaining ingredients. When the hash brown crust is ready pour the egg mixture over it and return to the oven. Lower the oven temperature to 350°F and bake for about 30 minutes until the quiche is light golden brown on top and puffed. ← What is the UB Post? Wow! Thumbs up for your amazing bake!